It was a night that was like no other night. A night when no dog barked! That night, a whole township of people escaped to freedom. In the dead of night they gathered their belongings, their children and livestock, and silently walked away from tyranny. Tense excitement was in the air, yet it was a night when no dog barked! There has only been one night that was anything like that night. It happened hundreds of years later. It was the night Jesus died. Were there dogs present at Jesus's death? Probably! No doubt there were dogs hanging about the execution spot. Corpses of wrongdoers were sometimes thrown to the dogs. Jesus was put to death by a form of hanging. He was hung on two pieces of wood nailed together to form a cross. 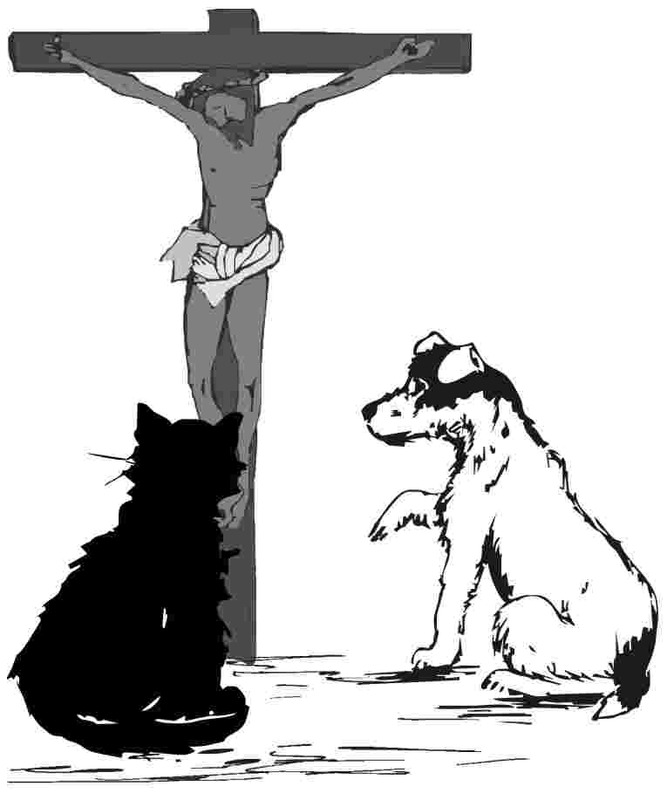 If a dog were watching Jesus being hung, would he bark and cause a commotion? I don't think so! I think a dog would gaze into Jesus' eyes and know instinctively, "This is my Master! This is the Master above all Masters!" Jesus was killed at the festival called Passover, held in remembrance of the Jews' escape from Egypt. The people almost died in Egypt, but as a sign of their faith, they slaughtered a lamb and painted the blood on their doors. Death "PASSED OVER" those doors that showed the sign of the lamb's shed blood. I think the night that Jesus died was a night when no dog barked. It was like the Passover night when the Jews escaped from Egypt. THAT was a night when no dog barked! It says so in the Bible. Jesus was a lamb that was killed to save those who believe in him. This is the meaning of Easter and Christmas: God loved the world so much that he gave his only son, Jesus, that whoever believes in him should not go to hell but should go to heaven forever. Reference: The Bible, Exodus chapter 11, verse 7. John chapter 3, verse 16. What Jesus said about repentance: Matthew chapter 4 verse 17, Mark chapter 1 verse 15. There is much more about Jesus's teachings on repentance in the Bible.